The owners of the Moc Moc Restaurant Project come from several generations of restaurateurs and provided a crystal clear vision of their life long dream in developing this restaurant. The MoC MoC restaurant project concept centered around combining both classically represented sushi fare along with a creatively complex fine dining style hot food menu. 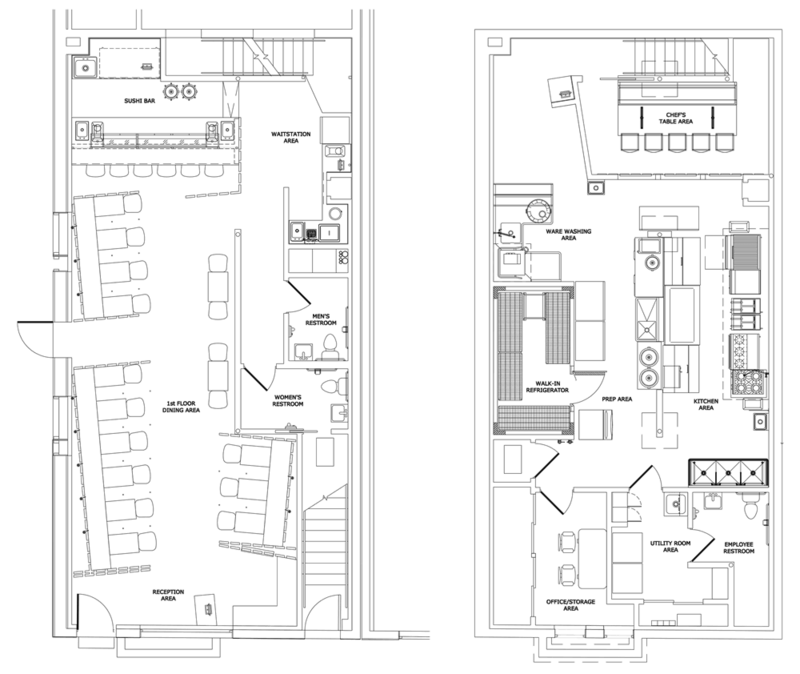 The restaurant kitchen design layout concept was developed on two floors with the basement housing the main kitchen, which serves the upstairs dining area and sushi bar via dumbwaiter. Having such a wide array of cooking techniques in use, great care was taken to organize the restaurant kitchen design & layout in a way that allowed all of the dishes to be produced efficiently in an extremely clean environment since a major focal point of the kitchen was a special chef’s table for VIP guests. Click Here to read all about the restaurant kitchen design and development services we provided for the Moc Moc Restaurant Project.